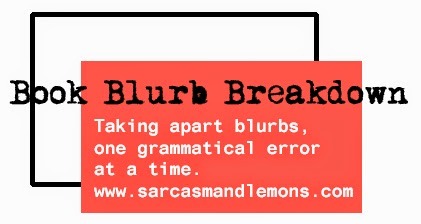 Now, you too can shred a blurb and post for the world to see! The post will go up at 12:01am on Thursdays. Just link back with this fancy little button and add your name to the linky at the bottom. You can share your grammar nitpicks or just your thoughts. Make it your own! You can also choose to shred the same blurb, or pick your own! A page-turning, evocative novel for fans of THIRTEEN REASONS WHY and SPEAK, about a girl who must follow a trail of mysterious clues to discover what happened to her sister. Sisters Leo and Paris Hollings have only ever had each other to rely on. They can’t trust their mother, who hops from city to city and from guy to guy, or their gambler stepfather, who’s moved them all to Las Vegas. It’s just the two of them: Paris, who’s always been the dreamer, and Leo, who has a real future in mind—going to Stanford, becoming a doctor, falling in love. But Leo isn’t going anywhere yet… until Paris ditches her at the Heartbreak Hotel Diner, where moments before they had been talking with physics student Max Sullivan. Outside, Leo finds a cryptic note from Paris—a clue. Is it some kind of game? 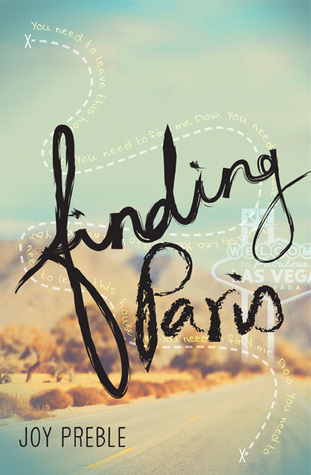 Where is Paris, and why has she disappeared? When Leo reluctantly accepts Max’s offer of help, the two find themselves following a string of clues through Vegas and beyond. But the search for the truth is a not a straight line. And neither is the path to secrets Leo and Max hold tightly. Sisters Leo and Paris (Oh, how cute. They have unique names and Paris' is a pun.) Hollings have only ever had each other to rely on. They can’t trust their mother, who hops from city to city and from guy to guy, or their gambler stepfather (How does their mother hop from guy to guy if she's apparently married to this stepfather? ), who’s moved them all to Las Vegas. It’s just the two of them: Paris, who’s always been the dreamer, and Leo, who has a real future (Oooh, so dreamers can't have real futures in mind?) in mind—going to Stanford, becoming a doctor, falling in love. Perhaps this is a great story, but the blurb is so aimless and meandering that I can't help suspect that the book shares the same unfocused quality. There's very little indication of why Vegas is important, even though it's emphasized. The description of Paris' disappearance is so vague that I have no idea if her note suggests she was abducted by aliens or decided to embark on a whirlwind road trip to the Grand Canyon. Who is Max Sullivan, and why is it so crucial that he's a physics student? Does his physics knowledge give him a special edge for investigation? Does Leo have a hard-on for physics students? And, hold the phone, I thought it was Paris with the secrets here, considering she just went MIA. Now Leo has secrets? Why are these important? Why aren't Paris' secrets more important? I don't expect a blurb to answer all my questions--after all, that's what the book is for--but I'd like to know enough about the set-up to decide if I'll like it or not. A slapdash blurb feels like a warning sign. I'm glad I'm not the only one. It just feels like kitsch that hasn't gone any farther. It's also never a good sign when I finish a blurb and I'm still not totally sure what the book's about, or why something that sounds like a madcap caper is being compared to two really serious tearjerkers.